of insuring proper fuse selection for these system critical EV applications. Extensive studies have been made regarding the arc suppression characteristics and breaking capacities of conventional fuses in comparing with advanced fuse technology. The presentation also demonstrates how advanced multilayer co-fired and "Wire-in-Air" fuse technologies could yield much more consistent and reliable performance, making them a better solution for the EV applications. Safety was one of the major topics in the battery engineering symposium. 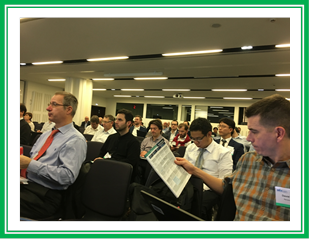 AEM's presentation attracted many professional people from brand name EV and battery pack makers allowing for valuable discussions. 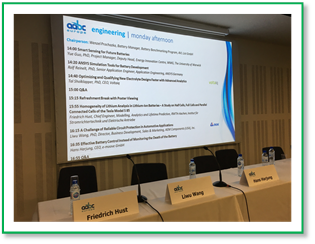 AABC Europe brings together a global audience of battery technologists and their key suppliers for a must-attend week of development trends, breakthrough technologies and predictions of the market for years to come. The 4-days conference started on Monday Jan 28th at the Strasbourg Convention Center, France. About 1000 attendees were comprised of research scientists, design engineers, engineering managers, marketing/sales and government officials from European and around the world. AEM is one of the Gold Sponsors for the AABC Europe 2019 event.